Solo road trippin' - Where to go in NSW? Hey all, so I leave on a small road trip by myself next week, I'm from Brisbane and will be headed down south - I'm looking for ideas on places I should include? I'll be looking at the NSW coast and some inland areas if I can fit them in. Where would you suggest? Anywehere that I've just got to go? Is an honours year necessary for university science graduates to be deemed employable? I have recently graduated from a science degree (dual majors in chemistry and clinical measurement, minor in anatomy and physiology) and have been applying to countless job listings and sending my CV/cover letters to many science-oriented employers. After months of applying and little to no acknowledgement from these employers (only had 2 rejection emails, many just outright dont respond), I have been seriously contemplating doing postgraduate coursework. I am curious as to whether an honours year would boost my 'employability' in the eyes of employers, as it seems, in my experience, that just having a degree isn't enough. Hey all. Just had a phone call with the work compliance line and I'm more confused than ever. I'm on DSP for a mental illness which prevents me from working full time and has for a long time. I haven't told my current employer about my condition and I'd like to keep it that way. I have been treated badly in the past for disclosing to others. October last year I finally got a part time job (yay!) I checked the gov website for how many hours I can work on the DSP and it said up to 30 hours per week with financial penalties imposed. Sweet. I've been working for 3 months now and I average weekly about 18 hours a week at night. I loose a good chunk of my DSP because of earning rules but hey, I'm working! I cannot physically or mentally do more. I am NOT capable of it. Anywho, I recently received a notice to get in contact with the compliance line and just did so. After an hour, (groan) I received new info on how many hours I can work. Its 15 per week and I've been going over. Apparently, hidden in a PDF on their website is a listing where you cannot work more than 15 hours per week or 30 a fortnight. This little tidbit is not viewable on the site nor does it come up unless you specifically Google Guide to Australian Government Pay and it's listed there. The only thing the guy on the phone could tell me was to tell me to contact the DSP line (call won't even connect, too busy atm). I'll try again tommorrow. This info contradicts what is veiwable on the gov website so I don't know whats going on. What the hell do I do now? Who do I talk to? I'm getting conflicting information and while I am sure the guy was right I really would like to get into contact with someone who can help. I live about an hour from the closest Centerlink office but I can go down there if needed (I suspect I will have to ) but I'm lost as to where to start. 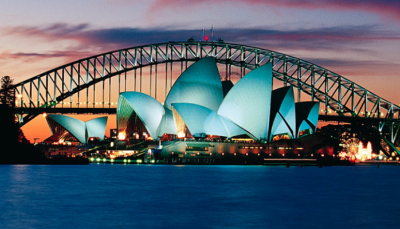 Hoping to find temporary work in Sydney under the Temporary Short Skill list. I have used SEEK and Indeed, but it doesn't really provide jobs of that nature. If anyone can recommend me other sites to search, it would much be appreciated.